The Melawati township is a 1200-acres township located in the north-eastern quadrant of Kuala Lumpur. 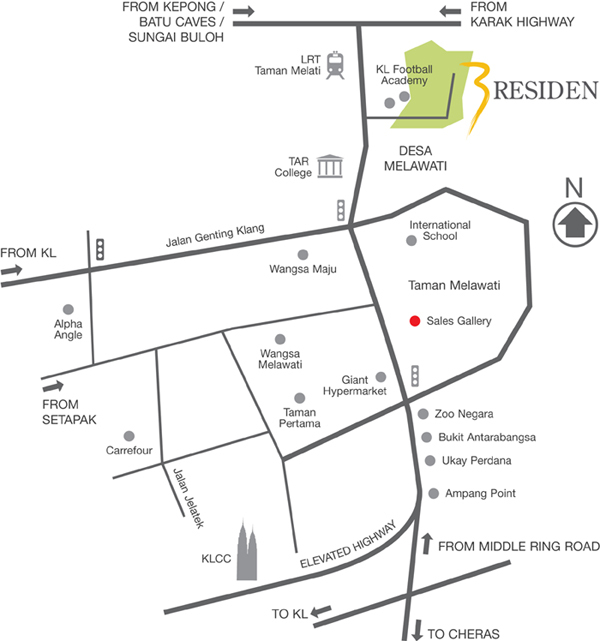 It comprises the integrated neighbourhoods of Taman Melawati, Wangsa Melawati, Desa Melawati and a central commercial are called Melawati Commercial Centre. Melawati Township This township has an easy accessibility to the newar city centre via the Ampang-KL elevated highway, MRR2 to KLIA, Putrajaya & Cyberjaya & the DUKE highway. Also nearby are ecuational institutions such as KL International School, Sri Inai, International Islamic University & UTAR and amenities such as Carrefour, Giant and Alpha Angle.